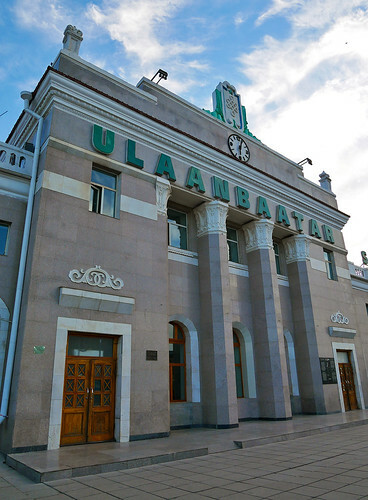 We’re already at Ulan-Ude when I awake. It seems we had the time zones all mixed up – Moscow+5 it shall be for the rest of our trip. We had it right 3 years ago though, alighting here at 4 in the morning local time, just to pay our respects to the junction where the Trans Mongolian bifurcates from the Trans Siberian. 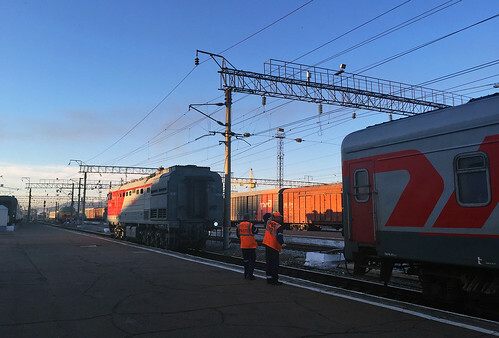 There’s a distinct chill in the morning air as Train 78 races east towards Irkutsk. 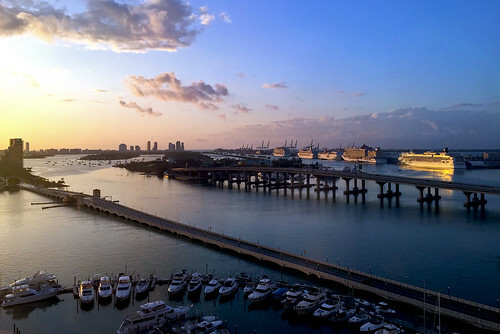 The terrain is as flat as can be, but given that we’re scheduled to arrive there at the unearthly hour of 06:09, we get to watch a gorgeous sunrise on our way in. 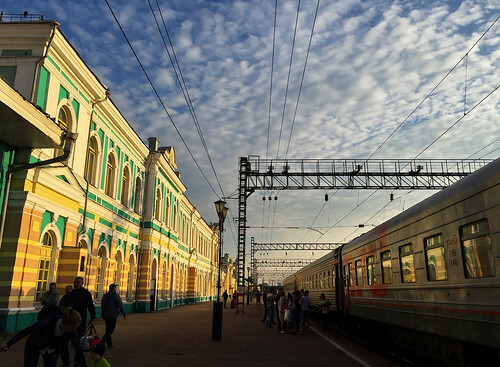 Arrival into Irkutsk-Passazhirsky is eventually 3-minutes early, its beautiful station building basking in brilliant morning light.